Slowly but surely, SELF-ish is getting closer and closer to Vancouver. If you’re in the BC capital this weekend, check out Diana Bang in her show at UNO Fest, Intrepid Theatre’s 11-day celebration of solo performance (May 9-19). 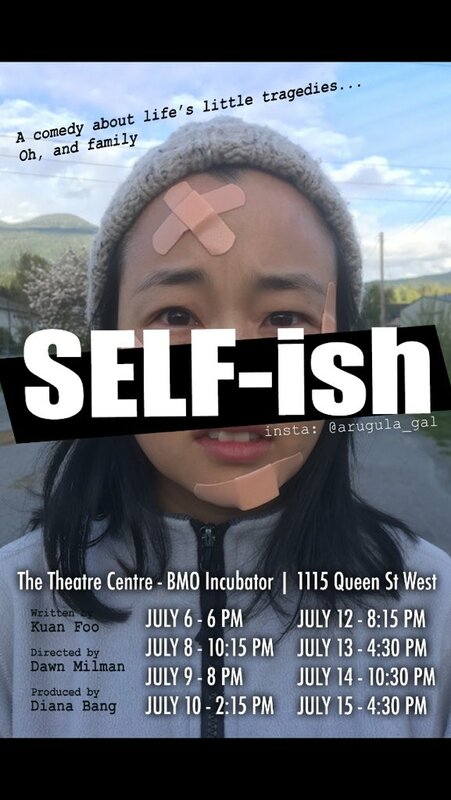 Written by Kuan Foo and directed by Assaulted Fish alum director Dawn Milman, SELF-ish tells the story of Esther Jin, a 30-something Korean-Canadian navigating her relationship with her family in the aftermath of a recent tragedy. Don’t worry: there are laughs to be had too! Visit the Intrepid Theatre/UNO Fest website for all the ticket details. Yeah, but when do we get SELF-ish in Vancouver?! In September, Fish Fans, in September. Look for the play at the 2018 Vancouver Fringe Festival (September 6-16). Show times will be available later in August. Stay tuned!